The disease affects various farm animals including cattle, sheep and goats. Livestock farmers have been urged to create a winter fodder plan. The call follows a meeting organised as part of ANM Group’s Farm Profit Prog-ramme where producers were advised how to deal with the impending winter feed and straw shortage. Programme adviser Robert Gilchrist said a winter fodder plan could be created by determining current levels of fodder, how many animals need to be fed, and what extra fodder is required. He advised farmers to implement a strict bulling period by scanning cows 40 days after the bull was out and culling out any poor performing, non-pregnant cows, so as to achieve a 90-100% fertility rate and reduce the number of animals on the farm this winter. 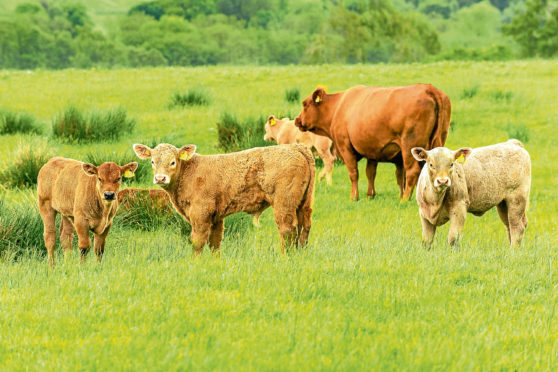 In some cases, selling stock may be the best option and Mr Gilchrist advised feeding any younger, easier fleshed cows that are not in-calf prior to a sale. “Feeding 5kg concentrates at grass for five weeks pre-sale will cost £35 but has the potential to increase cow weight by 52kg and the overall value of the cow by over £130 per cow,” he said. Mr Gilchrist also recommended weaning calves early in October to help maintain cows’ weight leading up to winter. Farmers were also told to consider alternative bedding options including woodchip, recycled wood, sand and rushes. Another suggestion was to replace 6kg of silage with 1kg of straw and 1kg of barley per day for a month, once cattle are housed. In a herd of 63 cows, this will result in 11 tonnes less fodder being used over a four-week period.